Edmund Strother "Ned" Phelps, Jr. is an American economist. He was born on July 26, 1933 in Evanston, Illinois. He was given the 2006 Nobel Memorial Prize in Economic Sciences. He is best known for his work on economic growth at Yale University's Cowles Foundation in the 1960s. This includes the idea of the Golden Rule savings rate, which is about how much money should be spent and how much should be saved for the future. Some of his best work is on microeconomics of full employment and how prices affect wages. Part of this work is about the natural rate of unemployment. Phelps has been the McVickar Professor of Political Economy at Columbia University since 1982. He is also the director of Columbia's Center on Capitalism and Society. His Nobel Prize award was announced on October 9, 2006. He received the award on his own, breaking the recent pattern of awarding the prize to two or more winners at the same time. Edmund Phelps was born in 1933 near Chicago, but he grew up and went to school in Hastings-on-Hudson, New York, where his family had moved when he was six years old. In 1951, he went to Amherst College as an undergraduate student. At his fathers advice, Phelps took his first economics course in his second year at Amherst. His economics teacher was James Nelson and his studies were based on a famous textbook by Paul Samuelson. Phelps was very interested in studying business. He knew of important unsolved problems and had new ideas, such as the gap between microeconomics and macroeconomics. After receiving his B.A. at Amherst in 1955, Phelps went to Yale University for graduate studies. There, his professors were some of the greatest economists, such as Nobel prize winners James Tobin and Thomas Schelling, and he studied with Arthur Okun. William Fellner and Henry Wallich were very important in his study courses. Phelps received his Ph.D. from Yale in 1959. The work for his Ph.D. was based on an idea by Tobin, that peoples need in an emergency has more effect than sudden price changes. After receiving his Ph.D., Phelps went to work as an economist for the RAND Corporation. His main interest was macroeconomics, but RAND focused on defense work so Phelps decided to return to the his studies the next year, 1960. He took a research job at the Cowles Foundation, and a teaching job at Yale. At the Cowles Foundation, his research was mainly on future prices and wages, following the work of Robert Solow. As part of this research, Phelps published in 1961 a famous paper on the golden rule savings rate, one of his most important works for economic science. He also wrote papers about other economic theories, such as monetary economics (Ricardian equivalence) and its importance when producing the best economic growth. Work at the Cowles Foundation gave Phelps the chance to meet with other important economists who were working on growth theory, such as David Cass and Nobel Prize winner Tjalling Koopmans. Also, during the academic year of 1962-63 Phelps visited MIT, where he met with Nobel prize winners Paul Samuelson, Robert Solow and Franco Modigliani. In 1966, Phelps left Yale and moved to University of Pennsylvania, where he was offered a permanent job as professor of economics. While at Pennsylvania, most of Phelps' research was on the links between employment, wages and inflation. He wrote about this in 1968: "Money-Wage Dynamics and Labor Market Equilibrium". This research had important new ideas about the Phillips curve. It was the first idea of the natural rate of unemployment and said that inflation rates did not affect labour market. In January 1969, Phelps held a meeting at Pennsylvania University to support the research on inflation and employment. The story of the meeting was published the next year in a book which was very important and is known as the "Phelps volume". During this time Phelps worked with other economists on research of economic growth, the effects of monetary and fiscal policy and best population growth. In the year 1969-1970 Professor Phelps worked for the Center for Advanced Study in Behavioral Science at Stanford University. Meeting with Nobel prize winners Amartya Sen and Kenneth Arrow, and reading the work of John Rawls, whom he met during that year, gave Professor Phelps an interest to research outside of macroeconomics. In 1972 he published research he named "statistical discrimination". He also published research on economic justice, using ideas from Rawls book "A Theory of Justice". In 1971, Phelps moved to the Economics Department at Columbia University, where Nobel prize winners William Vickrey and James J. Heckman were studying. Nobel Prize winner Robert Mundell joined three years later, as well as Phoebus Dhrymes, Guillermo Calvo and John B. Taylor. Professor Phelps published research on the inflation tax and the effects of fiscal policy on inflation. In 1972, Phelps published a book about his new theory. The book had many ideas about the effects of being unemployed for a long time and made him more popular. In the next years, Keynesian economics were thought of as less important after the publication of John Muth's work called rational expectations. Phelps, with Calvo and John Taylor, started a programme to rebuild Keynesian economics with new ideas about prices and wages being kept the same for certain time. Professor Phelps and John Taylor published research in 1977, about how to calculate wages ("Staggered Wages). During the '70s, Phelps and Calvo worked on research for making contracts using asymmetric information. In the late '70s, Professor Phelps researched with Roman Frydman, who was taught by Phelps. They worked on rational expectations and showed problems in it. A book was published in 1983 about what people said at a big meeting they had to talk about rational expectations in 1981. This book was not thought of as very important. In 1982 Phelps was made the McVickar Professor of Political Economy at Columbia. During the early '80s he wrote a textbook about economics knowledge. The book, Political Economy, was published in 1985, but was not used in a lot of schools. 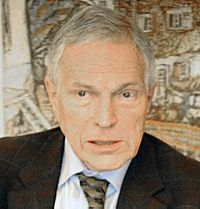 In the 1980s Professor Phelps worked with European universities and institutions, such as Banca d'Italia (most of his 1985-86 holidays were spent in Italy) and Observatoire Français des Conjonctures Économiques (OFCE). He became interested in the continuing high unemployment in Europe and published some work about it with Jean-Paul Fitoussi (the director of OFCE). During the next years, Professor Phelps worked to calculate the natural rate of unemployment. He published some of his research in a 1994 book. Phelps also worked with Luigi Paganetto at the University of Rome Tor Vergata and, between 1988-98, they held the Villa Mondragone International Seminar. In 1990 Phelps took part in a mission from the EBRD to Moscow, where he and Kenneth Arrow worked on the reform of the USSR. He became a member of the EBRDs Economic Advisory Board, and stayed there until 1993. Professor Phelps became interested in the Eastern European transition economies while there. In its announcement, the Royal Swedish Academy of Sciences said Phelps' work had "deepened our understanding of the relation between short-run and long-run effects of economic policy." George Mason University Professor Tyler Cowen wrote in the Marginal Revolution blog that "his main contribution is a better understanding of the Phillips curve and the dynamics of short-run unemployment and the concept of the natural rate of unemployment." Cowen also wrote that "his 1960s macro work was true, important, and extremely influential. The capital theory work endures and provides a foundation for subsequent theory. The overall scope is impressive, and Phelps's concerns never strayed far from the real world." Cowen by writing that the award to Phelps meant: "The big questions still matter. Unemployment, economic growth, labor markets, capital accumulation, fairness, discrimination, and justice across the generations are indeed worthy of economic attention." Professor Cowen and Berkeley's Professor Brad DeLong both said the choice of Phelps was a good noe, and Harvard Professor Gregory Mankiw said it was "a wonderful choice". Edmund Phelps Facts for Kids. Kiddle Encyclopedia. This page was last modified on 15 April 2019, at 06:11.